Nothing special about this post, just sharing my nails from a few days ago. 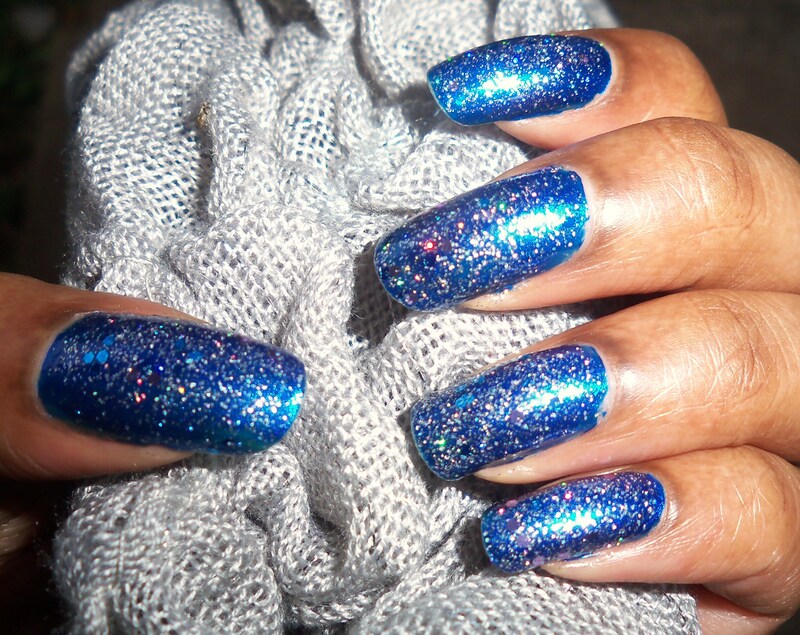 I did my nails in Essie Aruba Blue and even though I love it, after a couple of days I decided that I needed sparkly nails in my life. I put on a couple of coats of glitter polish, and there you go. I took these pics with the flash on so you can really see the blingtasticalness (it’s a word now!) of it all.